The Asian woman barrister who was disinstructed after her client wanted a white man to represent her has said she does not blame the solicitor involved. Rehana Popal said reporting the solicitor would not address “the root cause of the problem”, which ultimately was the client’s perception that the judge would more likely be persuaded by a white man. 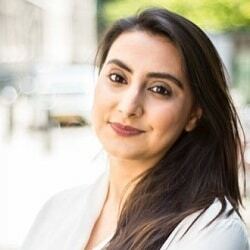 Ms Popal, the only female Afghan-born barrister practising in England and Wales, received national media coverage last November when she tweeted about being disinstructed, which led the chairman of the Bar Council to issue a strong warning to solicitors. 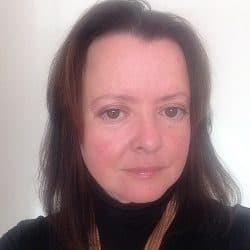 She was “repeatedly” urged to report the solicitor who had given her the news to the Solicitors Regulation Authority (SRA) for acting on the client’s discriminatory instructions. “Although, on the face of it, my solicitor had acted in breach of their code of conduct, I don’t blame them,” Ms Popal said. “It was not the solicitor who wanted to disinstruct me. They felt that they could tell me the truth, and this is because of the good relationship that we have. “Reporting them would not address the root cause of the problem, nor make a material difference to the client’s instructions. If I made my solicitor the ‘scapegoat’, they may no longer have been so honest with me; and any future reasons for dis-instructing may just have been packaged in a different way. The solicitor had made clear that the client thought a judge would be more persuaded by a white male, “ie a person who the client considered to look like the judge”. Ms Popal said: “This is the real problem. Reporting my solicitor was not going to change this client’s perception of the justice system, however incorrect or prejudiced. “We cannot escape the fact that the judiciary is overwhelmingly male and Caucasian. Great efforts have been made in recent years to diversify the judiciary and encourage applications to join the bench by those under represented. The barrister also highlighted the importance of having formal support networks when dealing with issues of this nature. 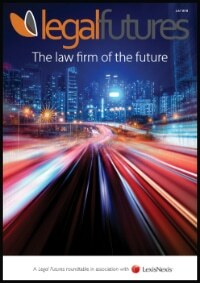 “The legal world is small. It’s four degrees of separation rather than six,” Ms Popal said. “When you’re trying to build your practice, the last thing you want to be known as is a troublemaker. A barrister is only as good as their next brief. 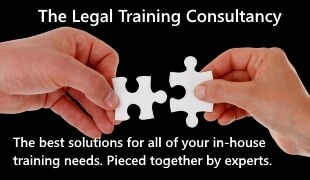 “As a self-employed counsel, building a good relationship with solicitors is crucial. In situations such as this, the reality of the power dynamic between you and the instructing solicitor, especially when you are a junior barrister, truly hits home. “So how to handle awkward situations with instructing solicitors? I do not think there is a simple solution. “The only way junior counsel may feel confident in raising such an issue is by having strong, formal and institutional support networks at the Bar eg chambers, the Inns of Court, Bar Council and circuits. This was particularly important as it “quickly became evident” that her experience was not unique, with practitioners from black, Asian and minority ethnic (BAME) backgrounds and women barristers “especially unsurprised”. The importance of a diverse judicial highlighted the need for the Bar to recruit and retain diverse talent, Ms Popal said. She commended the use of contextual recruitment, which allows recruiters to see candidates’ achievements in the context of which they were gained. “Initiatives like this are positive, practical and easy to implement,” Ms Popal wrote. Last week, we reported that the head of the pupillage committee at 20 Essex Street, the first chambers to adopt contextual recruitment to improve diversity, said it was not “virtue signalling” by doing so, but rather “trying to do our bit”.